If stewed Gibnut is favorite meal for you, make the most of it this month in December because come Jan 1st the season to hunt and eat it is closed until June 1st when hunting season reopens. Be responsible and only buy your game meat from licensed hunters or licensed game meat dealers, these people PAY Forestry for a license to legally hunt, don't undermine their responsible hunting practices by buying meat from unlicensed hunters or out of season. 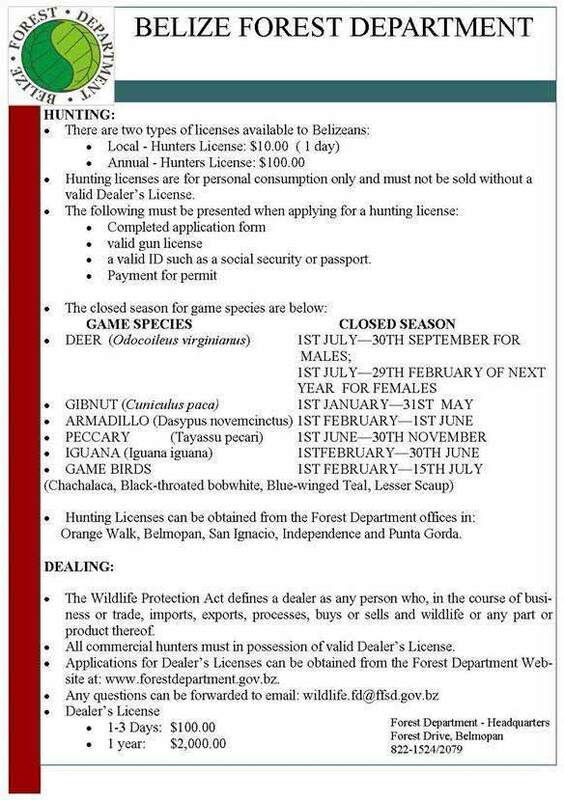 Below is the seasons for game meat in Belize and requirements for hunting or dealing/selling game meat license. HUNTING SEASON from PGTV News Network on Vimeo.